Year Five have continued to be very busy immersing themselves in the world of J K Rowling's popular Harry Potter series of children's novels. Our Literacy focus has been to understand why authors include the narrative technique of 'flashbacks'. 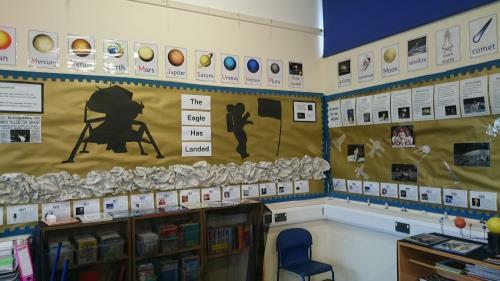 This culminated in pupils' own stories that included the technique. Learning has moved on to a very different area of Literacy: the weird and wonderful, gory goings-on in Shakespeare's Macbeth. 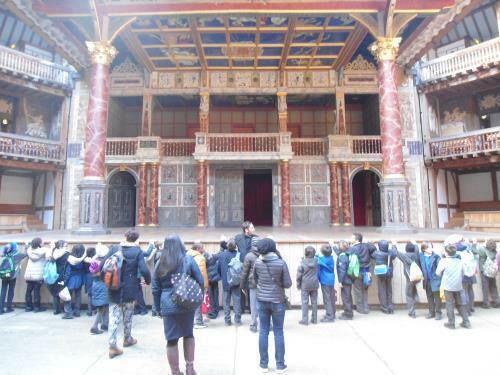 Our exciting trip to visit the heart of Shakespeare in London, The Globe Theatre and Exhibition, was a highlight when children could experience first-hand the incredible recreation of the Tudor theatre. Mathematics has headed outdoors this half term! 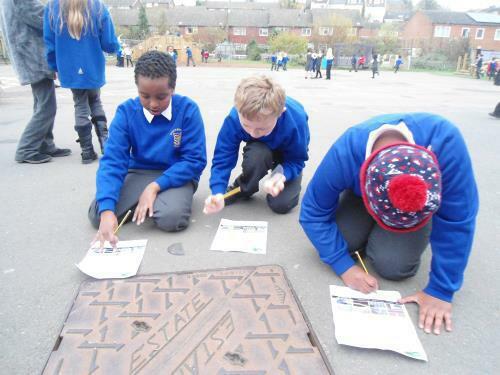 Pupils used their extensive knowledge and experience of angles to go out and about into the outdoor learning environment to complete a treasure hunt and photograph different angles that they could find. Estimating, measuring and classifying angles using the appropriate language was the order of the day, the weather was kind and pupils really enjoyed the opportunity to practically apply their mathematical knowledge. Have a look at the 'Maths Outside the Classroom' display by the small hall to see examples of our work. This half term we have trialled a very different approach to science in Key stage 2. Empiribox has taken off in a very explosive way quite literally! In Year 5 the children have been exploring the concept of force in a very practical way. Firing cannisters into the air has helped to further our understanding of air pressure and balloon powered cars have enabled us to experiment and find out more about friction. We are building up our skills of planning an investigation and thinking about the importance of variables. The term started off with a 'Big Bang' as pupils are getting to grips with the fundamentals of life, the Universe and everything! 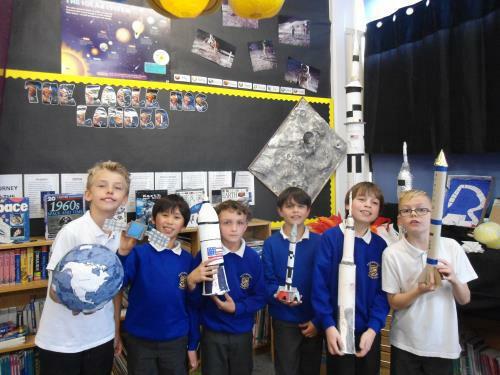 Knowledge of the Solar System and Space exploration was the basis of our work in literacy: planning and writing persuasive letters and science fiction stories. 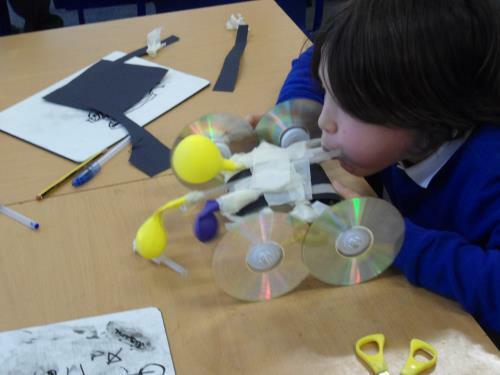 We really enjoyed our trip to the Science Museum and our creative homework has been out of this world!